Chart Pro's exclusive Rhino-Tuff™ medical grade poly binders are specifically designed to stand up to the most demanding.nursing environment. Features: Super strong rings, smooth edges and a twin hinge design assure years of continuous opening and closing. 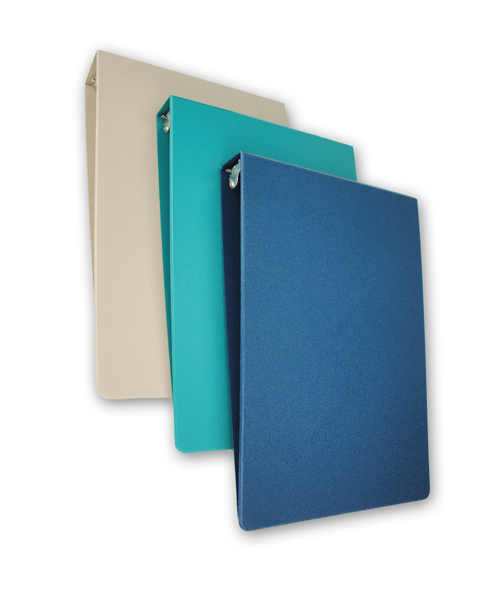 Our top-load molded binders are available in 1", 1.5", 2", 3" and 4" inch capacity. SKU # RT-101-3R, Rhino-Tuff� 5-Year Guarantee! SKU # RT-151-#R (3 or 5 ring), Rhino-Tuff� 5-Year Guarantee! SKU # RT-201-#R (3 or 5 ring), Rhino-Tuff� 5-Year Guarantee! SKU # RT-301-#R (3 or 5 ring), Rhino-Tuff� 5-Year Guarantee!